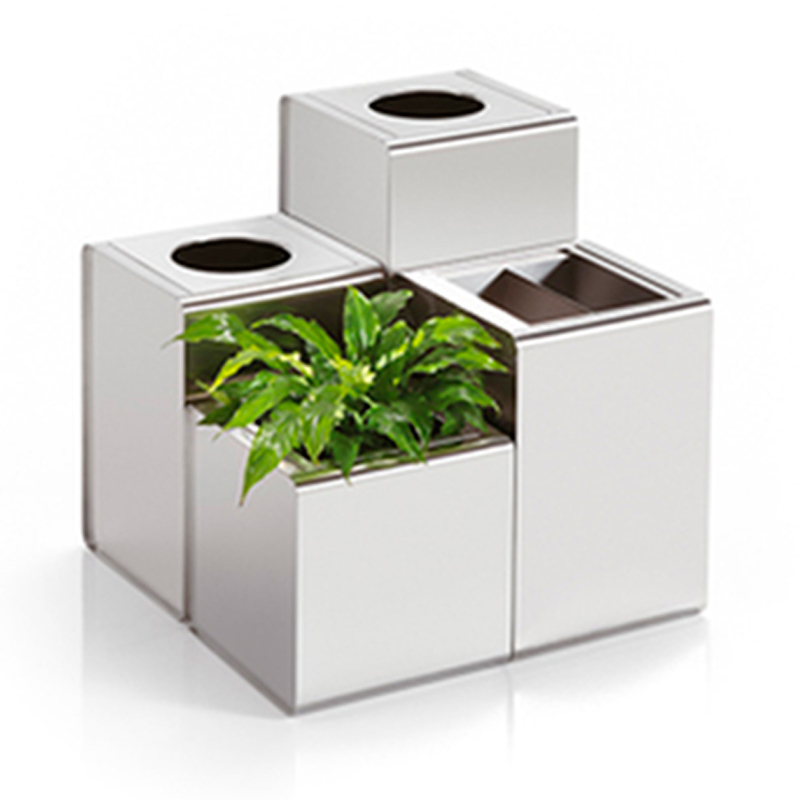 Innovative and elegant container set that contains an umbrella stand, ashtray, paper basket and flower boksz made of stainless steel. Mostly for indoor use. Many accessories are available for this system.